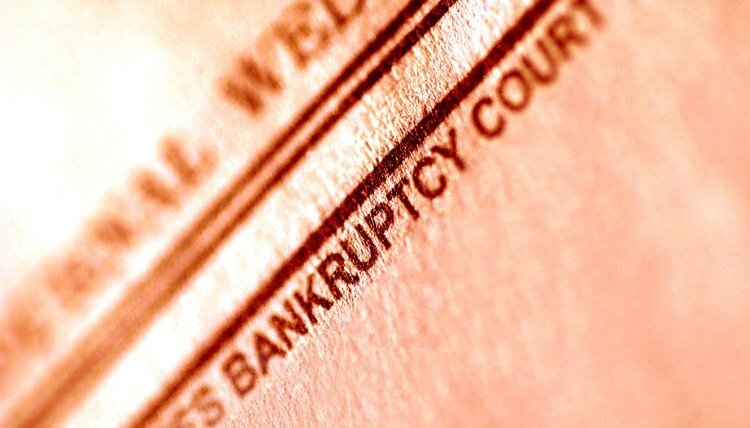 A petition for bankruptcy results in an automatic stay, issued by the court in which you filed. The stay is a court order to creditors to cease all collection actions against you. Creditors are not allowed to contact you, demand payment by phone or letter or any other means, or initiate any litigation against you. Any pending lawsuits are stayed as well. The bankruptcy court notifies all creditors whom you have listed on the bankruptcy petition. The law requires notification to all creditors, whether they are private or public, secured or non-secured. If you fail to list a creditor on the petition, however, there is no notification, and that creditor is not legally barred from continuing or initiating any lawsuits. At the end of a successful bankruptcy case, the court issues a discharge of all dischargeable debts. The creditors no longer hold any claims against your assets; therefore they are barred from filing a lawsuit to collect on their past-due accounts. If the debt is nondischargeable, however, you remain liable for the full amount, and you can be sued for repayment. Nondischargeable debts include federal and local taxes, federally guaranteed student loans, criminal restitution penalties, child support and alimony. Once the discharge occurs, your bankruptcy case is effectively over and you return to your pre-bankruptcy status: liable for all debts incurred since the filing of your bankruptcy petition. If you take out new loans, return to borrowing on credit cards, or buy a house with a mortgage, you are responsible for full repayment, and the creditors can bring legal action if the loans go delinquent. A bankruptcy case only protects you from lawsuits after the stay and before the discharge. The same applies if the bankruptcy is dismissed (for example, if you fail to meet the legal requirements for bankruptcy protection, or if the court finds you are capable of meeting your financial obligations). The automatic stay ends and you are again liable for repayment of any debts. Debtors have the option to reaffirm debts in bankruptcy. This means that you accept the obligation to repay, even if the debt would otherwise be subject to discharge. This might occur if you wish to keep property that would otherwise be sold off by the bankruptcy trustee. The court must approve any reaffirmation agreements, and your creditor may sue you any time after the discharge for repayment if you can't meet the payments. Twin City Attorneys: Can Bankruptcy Stop Lawsuits Against Me?